Paul Harnett is a Senior Lecturer in Clinical Psychology. He worked for six years at the Maudsley Hospital as a clinical psychologist in the fields of child protection and juvenile justice. After moving to Australia he continued to work for several years in these fields before moving into a research position studying early intervention programs for child and adolescent anxiety and depression. 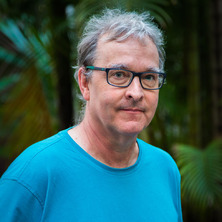 Over the past 12 years his work has focused on developing evidence-based assessment models and the Parents Under Pressure (PuP) program (www.pupprogram.net.au) in collaboration with Professor Sharon Dawe. The assessment model (Capacity to Change, C2C) is aimed at helping practitioners in child protection understand the psychological and organisational factors that influence decisions in child protection. The PuP program aims to reduce child maltreatment in high risk families, including those with problems with substance abuse and mental health issues. The PuP program has been trialed in Australia and is currently undergoing rigorous evaluation in the UK in collaboration with Warwick University funded by the National Society for the Prevention to Cruelty to Children (NSPCC). A major motivating force for his work are the memories of the young children he cared for while working as a care worker in a South London children's home in the late 1980s. Implementation and evaluation of the Parents Under Pressure program, a specialist parenting program targeting high risk parents (e.g., parents involved with substance misuse or the child protection system). Theoretical interest in the role of parental emotion regulation in parenting. Betts, Joseph, Dawe, Sharon, Eggins, Elizabeth, Shelton, Doug, Till, Haydn and Harnett, Paul (2018) Title registration for a systematic review: Psychosocial interventions for improving executive functions in children with FASD. The Campbell Collaboration Library of Systematic Reviews, . An evaluation of the efficacy of a parenting program to improve parent's adherence to the prophylactic treatment of their children's haemophilia. Facilitators and barriers of family engagement for young people on community orders in the juvenile justice system. Harnett, Paul H. and Dawe, Sharon (2013). Parenting and drug use. In Nat Wright, Clare Gerada and Laura Sheard (Ed. ), RCGP guide to the management of substance misuse in primary care 2nd ed. (pp. 383-400) London, United Kingdom: Royal College of General Practitioners. Gerada, Clare, Dawe, Sharon, Vogel, A and Harnett, Paul H. (2013). Women and drug use. In Nat Wright, Clare Gerada and Laura Sheard (Ed. ), RCGP guide to the management of substance misuse in primary care 2nd ed. (pp. 365-382) London, United Kingdom: Royal College of General Practitioners. Dawe, Sharon and Harnett, Paul H. (2013). Working with parents with substance misuse problems: a parents under pressure perspective. In Fiona Arney and Dorothy Scott (Ed. ), Working with vulnerable families: A partnership approach 2nd ed. (pp. 160-175) Port Melbourne, VIC, Australia: Cambridge University Press. Harnett, P. H. and Dawe, S. (2003). An overview of research methodology in the development of family focused treatment programs. In R. Sullivan (Ed. ), Focus on Fathering (pp. 191-210) Camberwell, Vic: ACER Press. Harnett, Paul H. and Day, C. (2008) Developing pathways to assist parents to exit the child protection system in Australia. Clinical Psychologist, 12 3: 79-85. Harnett, Paul H. and Dawe, S. (2008) Influencing multiple systems: The implications of the social determinants model of health for psychological interventions targeting multi-problem families. Clinical Psychologist, 12 3: 77-78. Dawe, S. and Harnett, Paul H. (2008) Parents Under Pressure: Helping High Risk Families. Counselor: the magazine for addiction professionals, 9 2: 22-29. Reid, N., Harnett, P., O'Callaghan, F., Wyllie, M. and Dawe, S. (2018). Physiological self-regulation and mindfulness in children with a diagnosis of fetal alcohol spectrum disorder. In: 41st Annual Scientific Meeting of the Research-Society-on-Alcoholism, San Diego Ca United States, (117A-117A). Jun 16-20, 2018. Idu Jion, F., Harnett, P., Pachana, N. A., O’Sullivan, J. D., Marsh, R., Byrne, G. J. and Dissanayaka, N. N. W. (2016). Mindfulness Intervention for Motor and Non-Motor Symptoms of Parkinson's Disease. In: 25th Annual RBWH Healthcare Symposium, Brisbane, QLD Australia, (). 12-16 September 2016. Idu Jion, F., Dissanayaka, N., Harnett, P., O'Sullivan, J. and Pachana, N. (2016). Mindfulness Intervention for motor and non-motor symptoms of Parkinson's disease. In: 7th Singapore International Parkinson’s Disease and Movement Disorders Symposium, Singapore, (). 29 September - 1 October 2016. Dissanayaka, N., Idu Jion, F., Harnett, P., O'Sullivan, J. and Pachana, N. (2015). Mindfulness for Parkinson’s disease: a qualitative study. In: 24th Annual RBWH Health Care Symposium, Brisbane, Australia, (). 12-16 October 2015. Pachana, N. A., Dissanayaka, N. N., Jion, F. I., Harnett, P. and O'Sullivan, J. (2015). Mindfulness to combat anxiety in people with Parkinson's disease. In: Balancing Cure with Care: Advances in Late Life Mental Health, 17th IPA International Congress, Berlin, Germany, (S31-S31). 13-16 October 2015. Dissanayaka, N., Idu Jion, F., Harnett, P., O'Sullivan, J. and Pachana, N. (2015). Mindfulness to combat anxiety in people with Parkinson’s disease. In: 17th International Psychogeriatric Association International Congress, Berlin, Germany, (). 13-16 October 2015. Dawe, Sharon and Harnett, Paul (2010). Does maternal mental health improve with parenting interventions: Findings from the parents under pressure program. In: DRUG AND ALCOHOL REVIEW. Australasian Professional Society on Alcohol and other Drugs Conference 2010, Canberra, Australia, (75-75). November 28-December 1, 2010.